BELLEFONTE — Centre County District Attorney Bernie Cantorna on April 9 released an update on the investigation into the death of State College resident Osaze Osagie, who was shot and killed by borough police on March 20. Cantorna said that Pennsylvania State Police, who are conducting the outside investigation, have "completed interviews of all persons identified as having knowledge of the incident." Now he is waiting on evidence testing results. 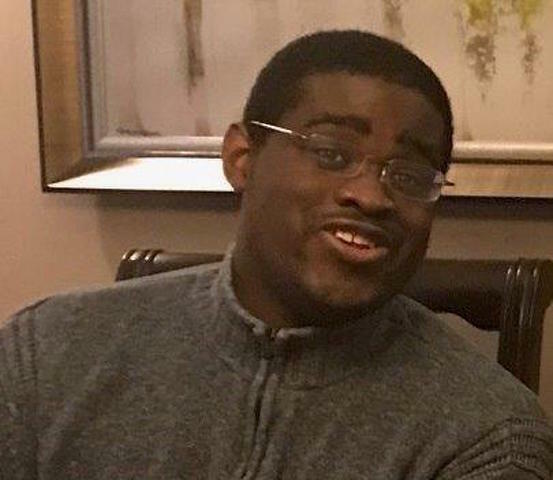 Osagie died of multiple gunshot wounds after a confrontation with State College officers who arrived at his Old Boalsburg Road apartment to serve a mental health warrant. The 29-year-old allegedly brandished a knife and "came after" the officers, according to a state police search warrant. Cantorna said on Tuesday. Records from "outside agencies involved with Mr. Osagie" also have been provided to investigators, he said. A clinical pathologist who conducted the autopsy is awaiting the crime lab testing results, as well, to be able to finalize his report. After receiving all of the information, Cantorna will complete his investigation and will first "report the results to the individuals and families involved," then report to the public, according to a news release. Following the shooting, state police recovered 9mm casings, bullet fragments, a knife and a taser from Osagie's kitchen, according to the search warrant. A state police official reportedly said borough officers had used a taser first but that it was ineffective. Cantorna has previously vowed the investigation would be "thorough and complete." Borough leaders also said that while the investigation is in the hands of state police and the DA, they would advocate for transparency and a full reporting. Issues of race and mental health have been at the forefront of community conversations and tensions surrounding the death of Osagie, an African-American man who was diagnosed with autism and who had, according to his family, struggled with his mental health for years. His father, Sylvester, contacted State College police on March 19 because he was concerned about his son's recent erratic behavior and was unable to locate him. Through his attorney, Kathleen Yurchak, Sylvester Osagie previously told StateCollege.com that he was in town and actively looking for Osaze at the same time as police and expected that they would call him if they found him. He said he had contact information for mental health professionals who are trained to handle such situations, but that police did not contact him when they found his son had returned to his apartment.